A filing from the assistant district attorney cites a "well-known and publicly documented history of antagonism" between him and the judge. FALL RIVER, Mass. — Prosecutors in the murder case against former New England Patriot Aaron Hernandez want the judge to recuse herself because, they said Wednesday, she and the lead prosecutor have a public history of antagonism and she has shown bias. Bristol County Assistant District Attorney William McCauley wants Judge Susan Garsh to remove herself from the case, he said during a hearing in Fall River Superior Court. McCauley did not detail his reasons in court, but a new filing cited a “well-known and publicly documented history of antagonism” between him and Garsh, stemming from a 2010 murder trial he argued before her. “This isn’t a matter the Commonwealth takes lightly,” McCauley told the judge. 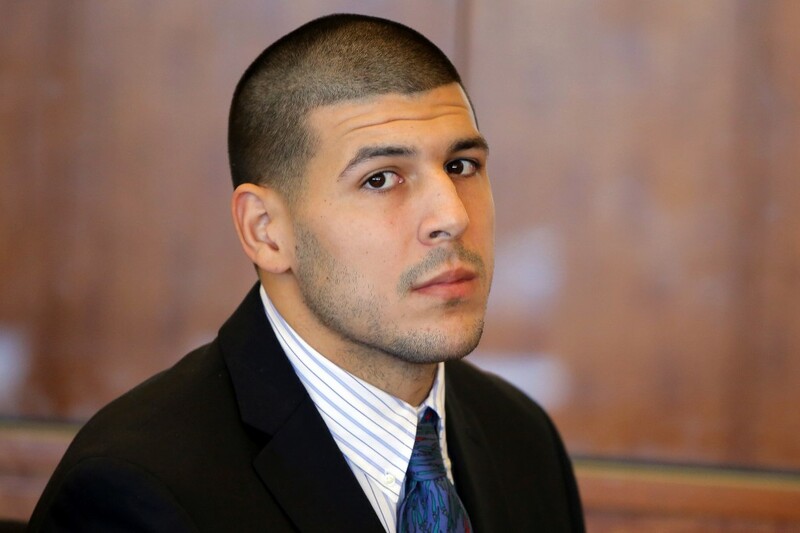 Hernandez, 23, was indicted in August in the killing of 27-year-old Odin Lloyd, a semi-professional football player who was dating the sister of Hernandez’s girlfriend. He pleaded not guilty to first-degree murder and five weapons-related charges last month and is being held without bail at a county jail. Outside court, another of his attorneys, Charles Rankin, declined to comment further. “We are very, very much looking forward to Aaron’s day in court,” he said. The defense has said previously that prosecutors’ case won’t hold up during a jury trial and they are confident Hernandez will be exonerated. Prosecutors allege Hernandez orchestrated Lloyd’s killing because he was upset with him for talking to some people at a nightclub with whom Hernandez had problems. Garsh declined to comment, citing judicial ethics. She didn’t address their history in the hearing. McCauley has previously sought Garsh’s recusal in a case. In a 2011 court filing, resubmitted Wednesday in support of the new request, he wrote that she had “exhibited antagonism and bias toward the prosecution throughout the (2010) case” and that he didn’t believe she could be free of bias. During Wednesday’s hour-long hearing, Hernandez briefly took the witness stand to answer a string of questions from the judge about a possible conflict of interest in the case by another of his attorneys, Michael Fee. The wife of one of the prosecutors is a partner at the firm where Fee is also a partner. According to prosecutors, Ortiz told authorities he did not see who shot Lloyd, but that Hernandez was alone with him before it happened. He initially told police a different story, saying both Hernandez and Wallace got out of the car at the industrial park in North Attleborough, Mass., where Lloyd’s bullet-riddled body was found. Hernandez’s girlfriend, Shayanna Jenkins, has been indicted on a perjury charge but not yet been arraigned. Hernandez’s cousin, Tanya Singleton, has been indicted on charges including conspiracy to commit accessory after the fact and criminal contempt. Prosecutors say she refused to testify before the grand jury hearing evidence in the case even though she was offered immunity. Singleton has pleaded not guilty to both charges. Hernandez has also been linked to an investigation into a double homicide in Boston in 2012. While investigating Lloyd’s death, police found a sport utility vehicle rented in Hernandez’s name at the home of Hernandez’s uncle in Bristol, Conn., that they had been wanted in connection with those killings.